Oasis Fm has some exciting times ahead! We've got plans to continue to expand and develop the station, serving the people of Tenerife even better than before. Having been established since 1997 as the market leading station in Tenerife, we know exactly what we need to do to build on our success. Oasis Fm has vacancies for at least TWO further Sales Executives as part of the expansion plan for our sales operation. 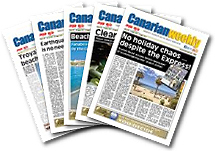 Reporting to the Sales Manager, you'd be selling advertising, sponsorship and promotional packages to a wide range of businesses across the whole of the Oasis Fm area in Tenerife. Based at our offices in Las Chafiras, you'll also integrate into our dedicated team of staff all striving to make us the best possible British radio station on the island. There's a good client base, excellent commission structure, and competitive bonus scheme for the right candidates. Ideally, you'll have previous sales experience - although not necessarily in radio.